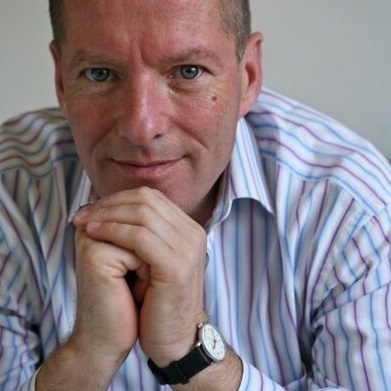 Shai Reshef is the President of University of the People (UoPeople)—the world’s first tuition-free, non-profit accredited American online university, dedicated to opening access to higher education, globally. Grounded in the belief that knowledge is a key ingredient of world peace, UoPeople provides access to collegiate-level studies to qualified individuals regardless of geographic, financial or societal constraints. An educational entrepreneur, Reshef has 25 years of experience in the international education market. From 1989 to 2005, he served as Chairman of the Kidum Group, a for-profit educational services company. Between 2001 and 2004, Reshef also chaired KIT eLearning, the online learning partner of the University of Liverpool and the first online university outside of the United States. I spent twenty years of my life in the for-profit international education sector. I established the first online university in Europe (KIT eLearning, the online learning partner of the University of Liverpool and the first online university outside of the United States). Tell us about University of The People. What inspired the idea and what is your vision for the company? When I chaired the first online university in Europe, I witnessed how powerful online learning can be. We had students from all over the world who were able to continue with their jobs, stay at home while they studied online and were able to obtain a high-quality European education. At the same time, I realized that earning an online degree was nothing more than wishful thinking for many people. Because the program was too expensive, most people could not afford it. I looked around and I realized that all of the resources that had made online learning so expensive were now available for free: open-source technology, Open Educational Resources, and social networking culture where people share, teach and learn from each other for free. At that point, I realized that all I really needed to do is bundle all of these resources together. The University of the People is the outcome – the world’s first non-profit, tuition-free, accredited online University, dedicated to opening the gates to higher education globally; a place where all qualified students can come to learn, despite any financial, geographical, social or cultural constraints. Traditional brick-and-mortar institutions have expenses that virtual universities do not. So we don't need to pass these expenses on to our students. We also don't need to worry about capacity. There are no limits on the number of seats in a virtual university: nobody needs to stand at the back of the lecture hall. In addition, through the use of OER (open educational resources) and through the generosity of professors who are willing to make their time and materials accessible and available for free, our students do not need to buy textbooks. According to UNESCO, by 2025 nearly 100 million individuals in the world will not be able to attend college because no seats will be available. The University of the People is a model showing how to serve all of these people. If we can do it, other universities can, too. Instead of building universities, which will drain resources without meeting the demand for education, developing countries can establish online universities. The University of the People’s mission is to ensure these 100 million people are served. 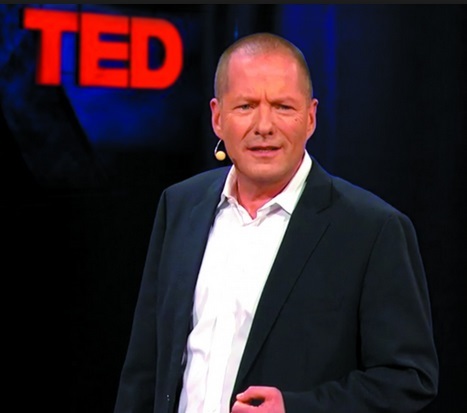 Grounded in the belief that knowledge is a key ingredient of world peace, UoPeople was established in order to provide access to University studies and to give an alternative to those who have no other, to every qualified individual regardless of what they earn, where they live, or what society says about them. What strategic partnerships/marketing strategies have you implemented that have attributed to UoPeople's success? UoPeople has partnered with Yale ISP Law School for research; New York University (NYU) to accept students; Microsoft for scholarships, access to its certificate programs, mentoring, internships and employment opportunities; and Hewlett-Packard, for general support, scholarships for women and internships. The University has gained the widespread support of volunteers and leading academics around the world. Its President’s Council, chaired by New York University President John Sexton, includes Oxford Vice-Chancellor Sir Colin Lucas, U.S. former Under Secretary of Education Martha Kanter and UC Berkeley Chancellor Nicholas Dirks, among others. UoPeople is supported by The Gates Foundation, Carnegie Corporation, Hewlett Foundation, and companies such as HP, Google, Microsoft, Western Union, Pfizer and Estee Lauder and many more. A new era is coming, an era that will witness the disruption of the higher education model as we know it today, from being a privilege for the few to becoming a basic right, affordable and accessible for all. I’m excited to be leading this change. I think there’s also a momentum to move away from expensive tuition in the direction of accessible, affordable and even tuition-free education, as well as a breakaway from traditional research universities to UoPeople-like universities. When you educate one person, you change that individual’s life. When you educate many, you can change the world. Opening the gates to higher education globally for all qualified individuals, despite financial, geographic or socio-cultural constraints. Your greatest success as Founder & President of University of the People? Most difficult moment-how did you overcome and what did you learn? Seeing the vision for a university of the people, by the people, and for the people, turn into a reality, is my greatest success. I had no idea that this model would gain so much support. In a fairly short amount of time, we’ve enrolled students from over 160 countries around the world, received accreditation and worldwide recognition. Accreditation is probably the institution’s proudest accomplishment so far, as accreditation is a public testament to the dedication of our academic leaders and the integrity of our rigorous academic programs. This testament to the educational quality of our program will go far in helping students land jobs when they graduate. The accreditation also makes students eligible to study for advanced degrees at other universities. The world can be changed. Do not fight change. Allow change to happen. Be a part of the change and make it positive. Build the world you would want for your children. Don’t get overwhelmed by everything it takes to make a real difference! Draw inspiration from those who work alongside you, be bold, come up with ideas and run with them. Breathe life into the projects you love, make sparks around them, find the right people to get involved. Never give up. Success is a marathon, but keep in mind that it happens one step at a time. When you give of yourself, you always get back much more than you’ve given. I am very fortunate to have an incredible team behind me of dedicated and motivated employees. I think it must be because it’s very easy to fall in love with the concept that is behind University of the People: that education should be a basic right for all, and not a privilege for the few. When you work for something that you believe in, you are motivated. Currently, we draw from a pool of over 3,000 highly skilled and experienced volunteers to run the university, supported by a small cadre of paid staff. This means we have a wealth of great talent at our disposal although we actually only use about 10% of the volunteers. Many are instructors from the best universities around the world who choose to donate their time and their expertise to a great cause. Like me, for example, the provost is a volunteer. However, the vice provost is a paid staff member. The deans are volunteers, but the Associate Provost for Academic Affairs is a salaried employee. Similarly, the Director of Finance is paid even though the CFO is a volunteer. The organizations was structured especially this way in order for it to be a sustainable model. David Foster Wallace: "A Supposedly Fun Thing I'll Never Do Again"
Einstein - one of the smartest people the world has ever known who had a difficult start to life and yet he proved that anything is possible. My passion really is University of the People. However, in the sparse time that I have outside of work, in addition to meeting new people and reading, which I very much enjoy, I like to run. Running is my way of meditating. It clears the mind and helps me focus. We have started creating a Bachelor-level program in health science and we are also in the process of developing the world’s first tuition-free, accredited, online MBA degree. In addition, the next major milestone is achieving financial sustainability. If we attain our goal of 4,000 students by 2016, we will reach financial sustainability. Until then, we need about $2.5 million to get to that point. Reshef has been widely recognized for his work with UoPeople, including being named one of Fast Company’s 100 Most Creative People in Business; selected by OneWorld as one of its ‘People of 2009;'awarded an Ashoka fellowship; joined UN-GAID as a High-level Adviser; granted membership in the Clinton Global Initiative; awarded a RSA Fellowship; selected by The Huffington Post as the Ultimate Game Changer in Education; nominated as one of Wired Magazine’s 50 People Changing the World; and selected as a Top Global Thinker by Foreign Policy Magazine. Global media coverage includes the New York Times, Washington Post, Chronicle of Higher Education, NPR, Forbes and more. An expert on the intersection of education and technology, Reshef has spoken internationally at numerous conferences including the Clinton Global Initiative; DLD: Digital, Life, Design; TEDxOxbridge; World Economic Forum; EG5 Conference; TEDxKC; Google’s Higher Education Summit; EMV Human Values meeting; The Economist’s Annual Human Potential Summit and the Schools for Tomorrow Event for the New York Times. He has also lectured at Yale, Harvard, Stanford and Oxford, among others. Reshef holds a M.A. in Chinese Politics from the University of Michigan.